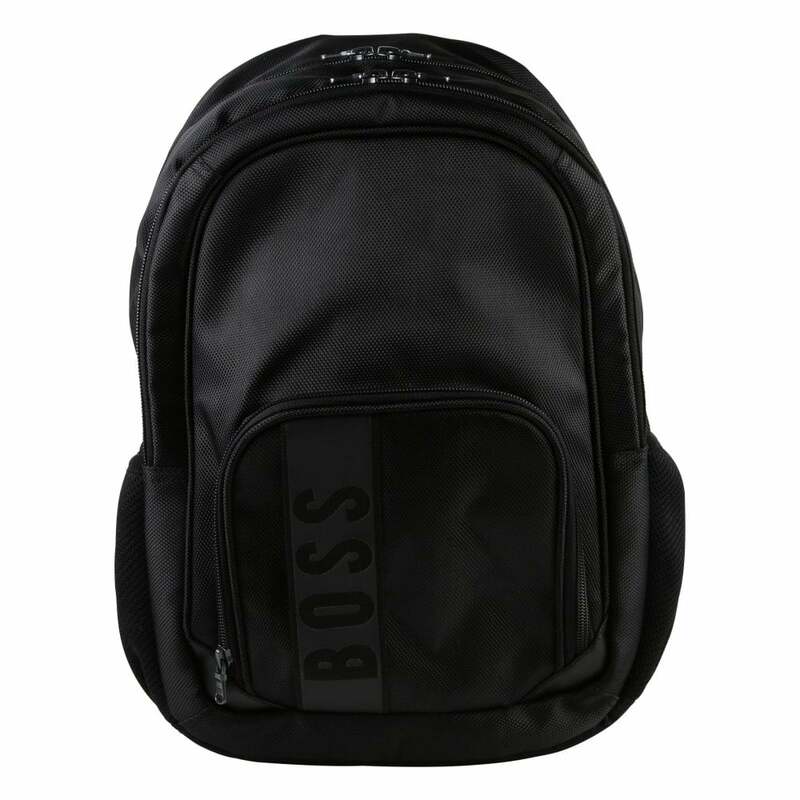 This Boss Backpack is 100% polyester and is black in colour. It has a zip-fastened two main compartment and an additional zip-fastened pocket on the front. There is also an open pocket inside the main compartment. There is a hang loop at the top and padded adjustable shoulder straps. Boss branding appears printed on the front.